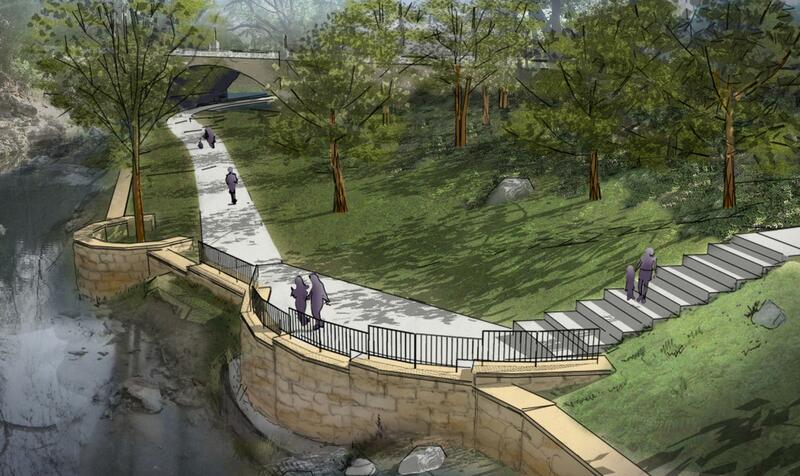 Metropolitan Infrastructure was retained by the Turtle Creek Association to develop concepts and plans to produce highly aesthetic dams and retaining walls to provide channel stabilization along key portions of Turtle Creek. These dams and walls protected the adjacent parks and provided a stable embankment for hike and bike trails within the parks. Project preparations included creating a rendering using Sketch-Up and Photoshop, which engaged the community and raised funds for the wall construction. 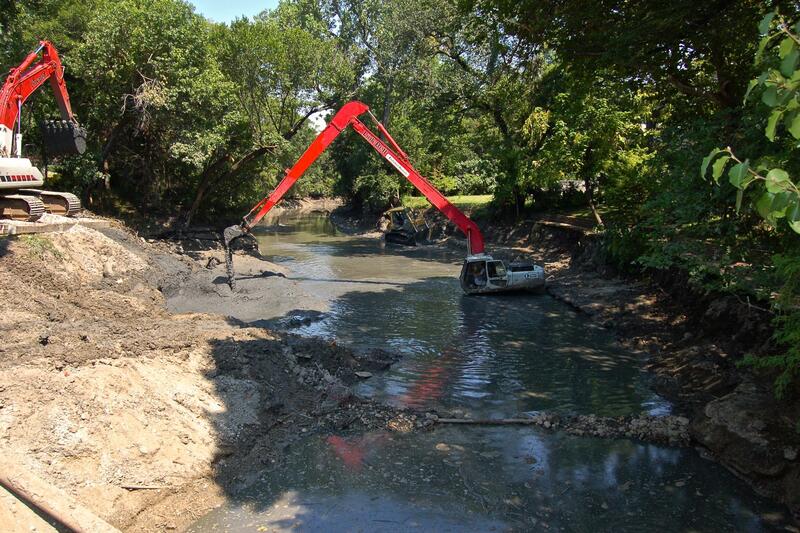 Metropolitan Infrastructure’s engineers conducted public meetings and coordinated with city staff and the Turtle Creek Association. MI’s design services included developing plans for the dams, retaining wall layouts, erosion protection, pedestrian trail designs, custom railing designs, quantity calculations, construction management, tree protection, and wall foundation designs.